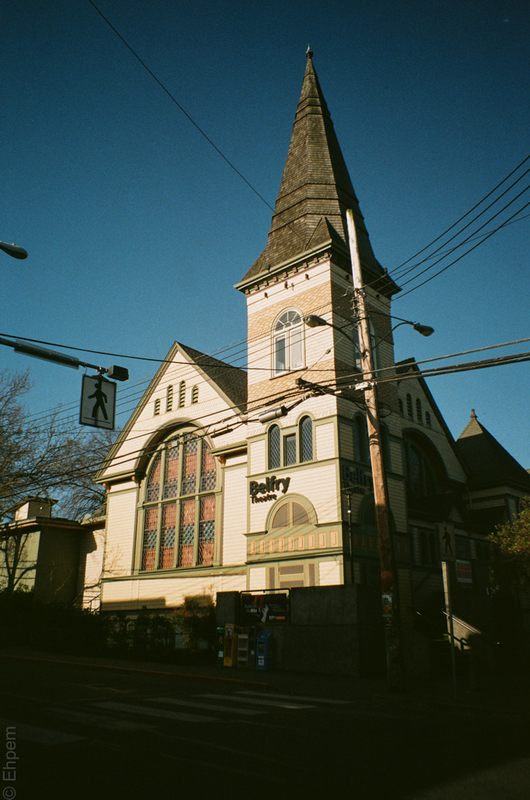 The Belfry Theatre is in an old church in Fernwood in Victoria. Nice pic, Mr E. Must be a great venue. Hi Kate – I have been away in the field, so apologies for the slow respond. This is probably the favourite venue in town, certainly it is very busy. Hope you have been enjoying your work, Mr E! I have! We are getting some cool results and possibly quite exciting too – just need the radiocarbon dates before we get too worked up. Oo Oh! That does sound exciting! Will you be blogging about it? Wow. Thanks for the link, Mr E. That is fascinating! I had no idea human footprint archaeology was so rare. So at that site, the footprints are extremely fragile, are they not? It is still just clay, not hardened into stone? Is it that one false move would obliterate them? Is your find along the same lines as this one? I can understand why there would be restrictions on who could publish information about such finds. I agree that it is unfortunate that you were not involved in that excavation. I am wondering if you could recommend any documentaries about recent archaeological work of interest to a layman. I am thinking maybe a website with free videos. Or any on YouTube worth looking up? If you are very busy, don’t worry about getting back to me. That article and short clip were FABULOUS, thanks! Hi Kate. Yes, it is a buried wet horizon with clay where the footprints filled in with a different sediment and thus were visible. Our project is a bit different as we don’t expect wet deposits, and the old shorelines we are investigating are stranded well inland due to a different sea level history than the one I linked to. I am not sure about a good site for videos, but a very good read for archaeology in this area is https://qmackie.com/. It is not an active blog right now, but has a large back catalogue of very interesting posts a few of which include video. The author is involved with the project I am on, as well as the one with footprints, and other work I have been involved with too. Oh, okay. Yes, I know that blog. I will have another look. Thanks Mr E!